Mantras bring the mind to the present moment and help it enter a meditative state, choose from our list or chant your own. 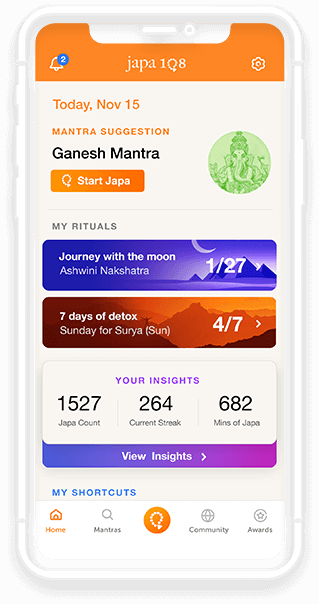 See your Japa count streak, your insightful stats and find the perfect mantra for you to chant. View a real-time feed of mantras being chanted and a leaderboard of the top Japa108 chanters of the week. Copyright © 2018 japa108. All rights reserved.